Hardcover, 9.5 x 11.75 in. / 312 pgs / 288 color / 197 bw. Edited by Richard Paul Lohse. 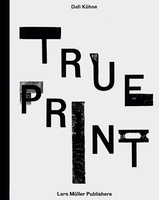 Essays by Christoph Bignens, Vera Hausdorff, Hans Heinz Holz, Michael Lenz, Bela Stetzer, Jorg Sturzebecher. 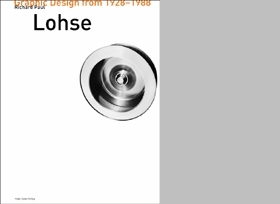 Richard Paul Lohse was a design pioneer in various fields for over fifty years. This catalogue raisonn», a project of the Richard Paul Lohse Foundation, is the first publication to show the complete works of the Swiss-born artist and graphic designer. Numerous works spanning the time from the 1930s to the 1960s--many of them not available since their initial publication--are brought together here for the first time. 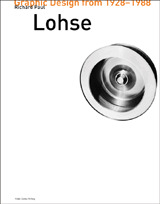 Several essays shed light on the multi-faceted relationship between aesthetics and politics in the period just after World War II, exploring Lohse's influence on the development of modern non-fiction books, on advertisements and infotainment, and on Swiss typography, which has enjoyed an exemplary status worldwide since the 1950s. With its sumptuous illustrations and perceptive texts, Richard Paul Lohse: Graphic Design from 1928-1988 is an essential contribution to the history of constructional commercial graphics. FORMAT: Hardcover, 9.5 x 11.75 in. / 312 pgs / 288 color / 197 b&w.